Asides from cake week, my other favourite Great British Bake Off week is of course dessert week. I have such a sweet tooth! 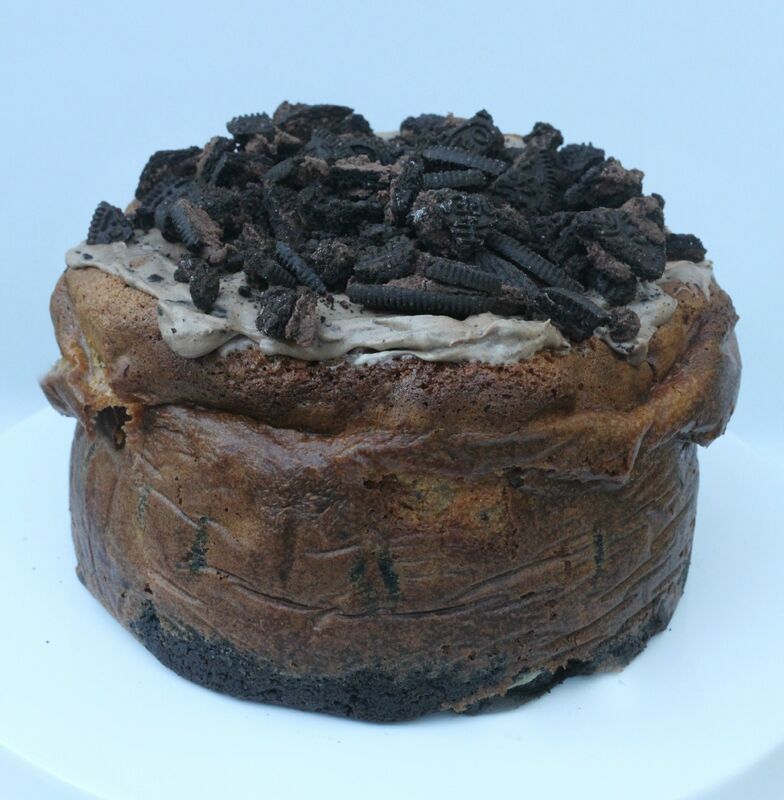 When I saw the categories were either creme brûlée, windtorte or baked cheesecake, I knew which one I would go for because I have had the recipe idea in my mind for some time now: an Oreo baked cheesecake …….. mmmmm! 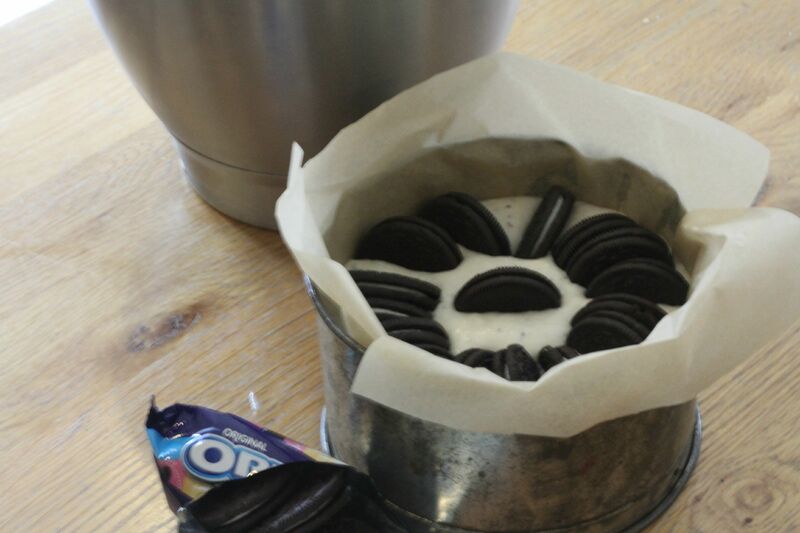 I know that you can bake Oreo cookies inside a cake, and it maintains its cookie-ness because I have already tried this before, and I love that when you bite inside the cake sponge there is still a complete Oreo waiting for you! 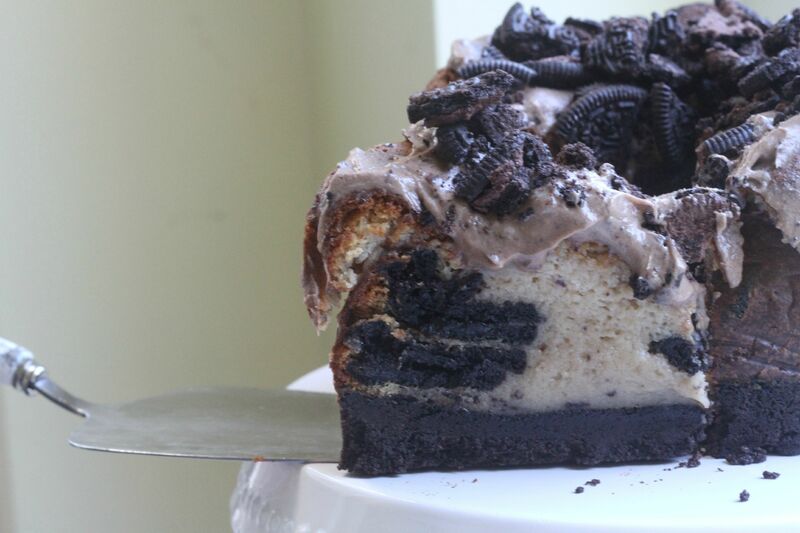 Therefore, I wanted to see if this same principle would work inside a baked cheesecake, after all I have seen countless Oreo cheesecakes on the internet, but not many baked ones, and none with a whole cookie inside (well, as far as I know!). 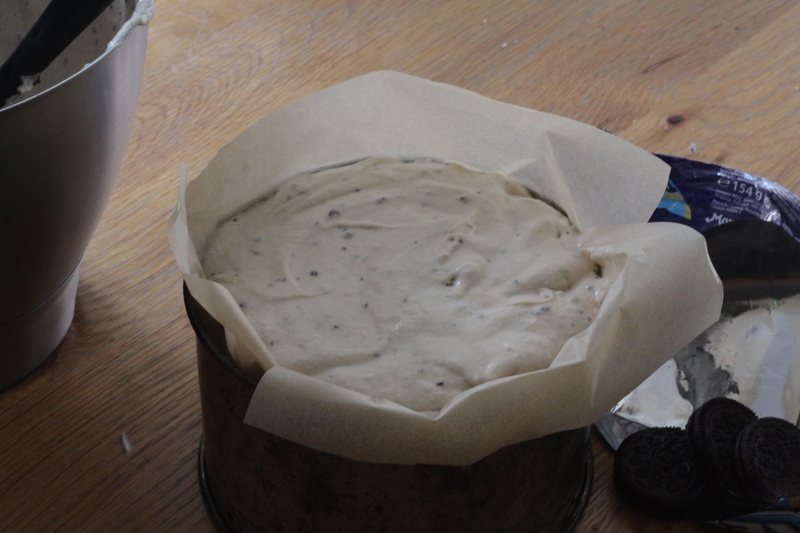 and into the oven it went – fingers crossed it would turn out as I hoped! 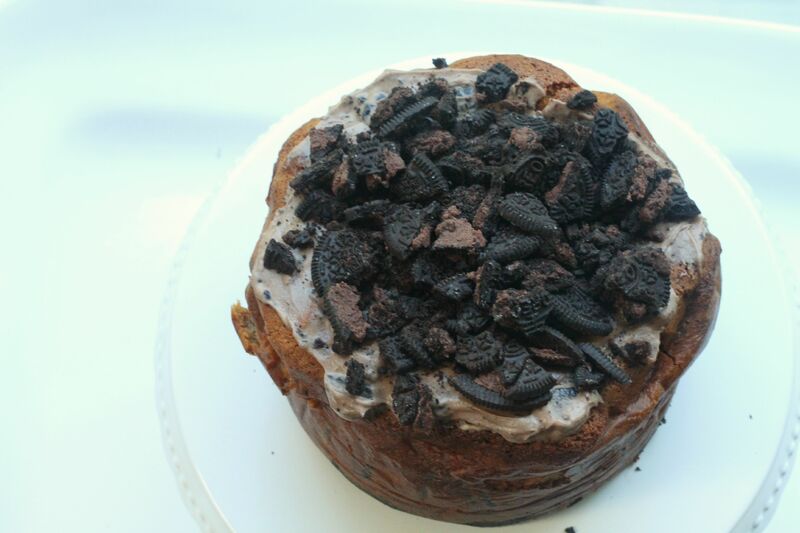 One thing is for sure, its an Oreo overload! Whisk the egg yolks and the sugar until thick and creamy. Whisk the egg whites until stiff and then fold into the cheesecake mixture. 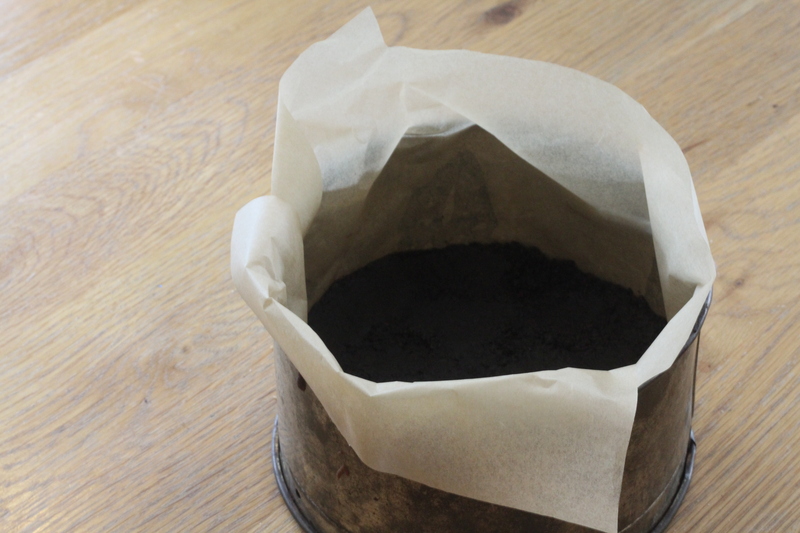 Bake for 1 1/4 - 1/12 hours until firmish – it can have a slight wobble, and the top needs to be spongy, like a cake, to the touch. Then turn the oven off and leave for at least 1 hour with the door ajar. I don’t think I need to tell you how nice this cheesecake was! Well, unless you are not a fan of cheesecakes or Oreos of course! 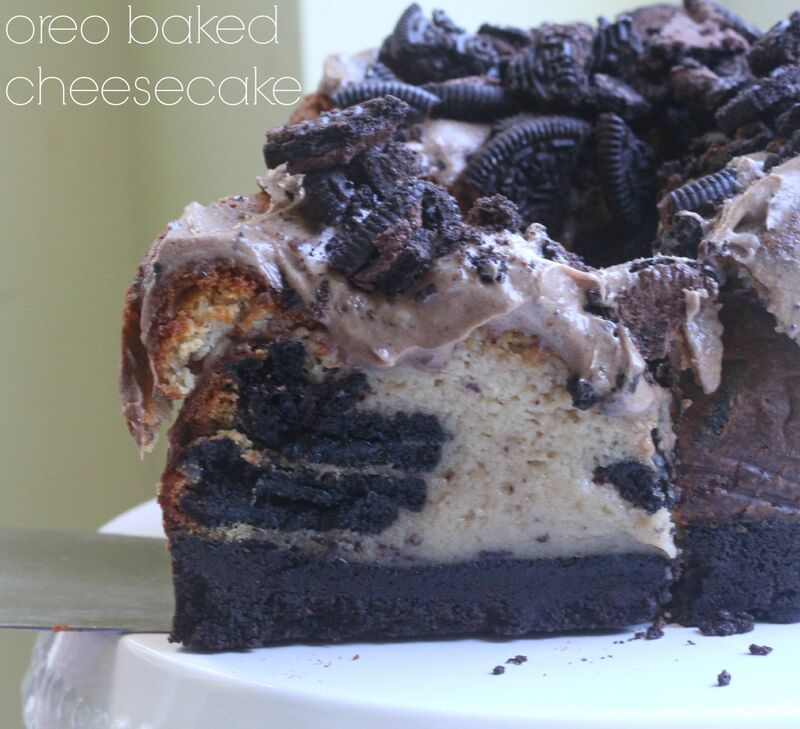 Like my OH who likes cheesecake, but does not like Oreo cookies! It did collapse a little in the middle once it cooled down, but luckily the topping disguises this fact, and it did not deter from the yummy flavour. 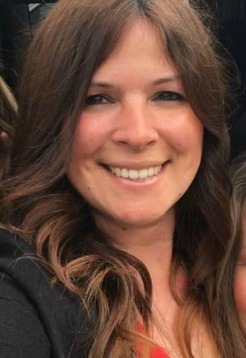 This week’s bake off linky is being hosted by Michelle – so please to go and see what she has baked for dessert week. Wow this looks huge and very tasty! 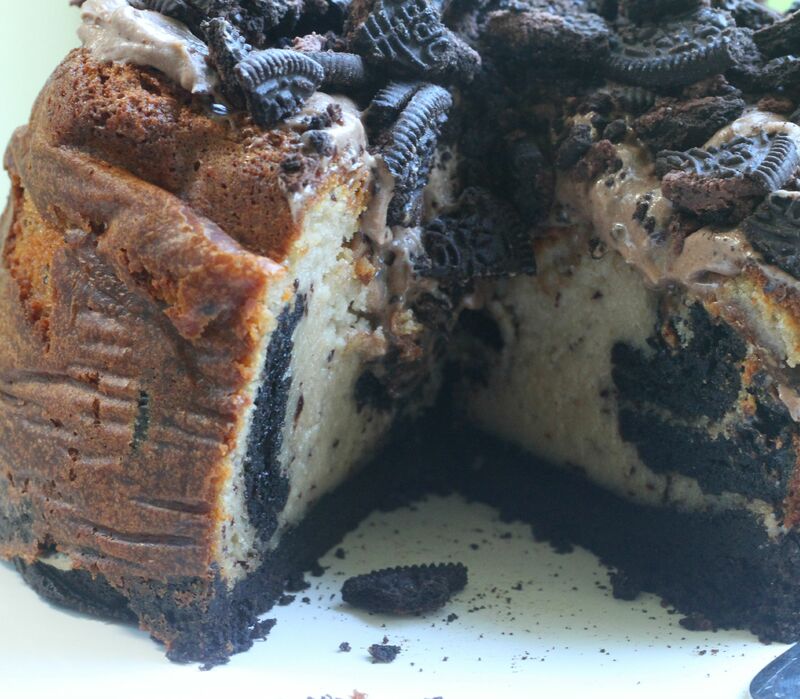 Love Oreos but am not a huge fan of cheesecakes (I’m trying to learn to) so maybe this is the cheesecake for me! Looks fantastic. 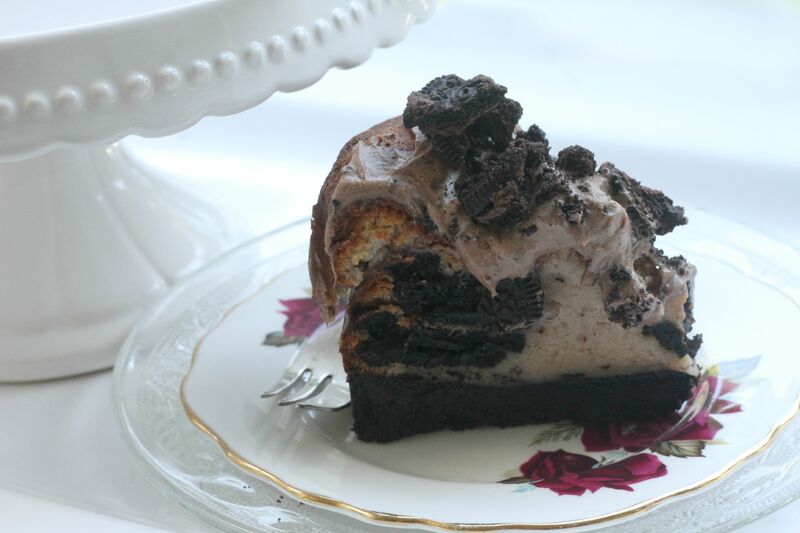 Can you believe I have never made any kind of Oreo cheesecake….this will change! Jenny sit down, I have a confession…I’ve never had an Oreo biscuit – really! 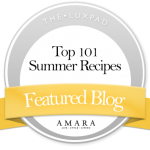 Though looking how good your cheesecake looks, that’s certainly going to change!